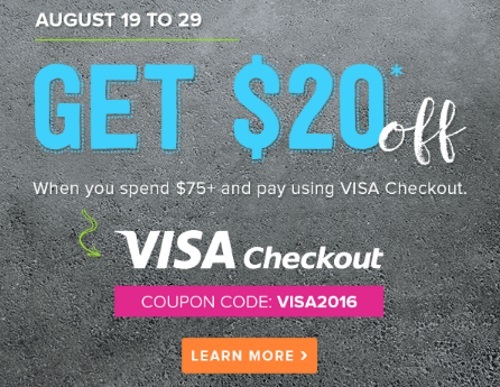 Well.ca is offering $20 off when you spend $75 or more and pay using Visa Checkout. Excludes disposable diapers, baby formula, Britax, UPPAbaby, Peg Perego, KidKraft, 4Moms, Diono, Applecheeks, gift certificates and previous purchases. Cannot be combined with any other offer. Limit: one discount per customer. Enter the promo code VISA2016 at checkout. Offer is valid August 19-29, 2016.